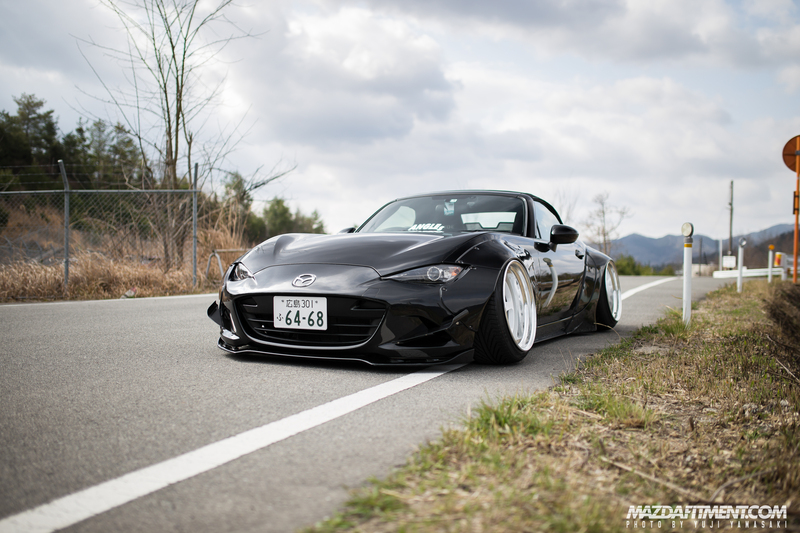 Through the years Mazda has one-upped themselves with every generation of the MX-5. We are now in the 4th generation of the Miata with the ND MX-5. 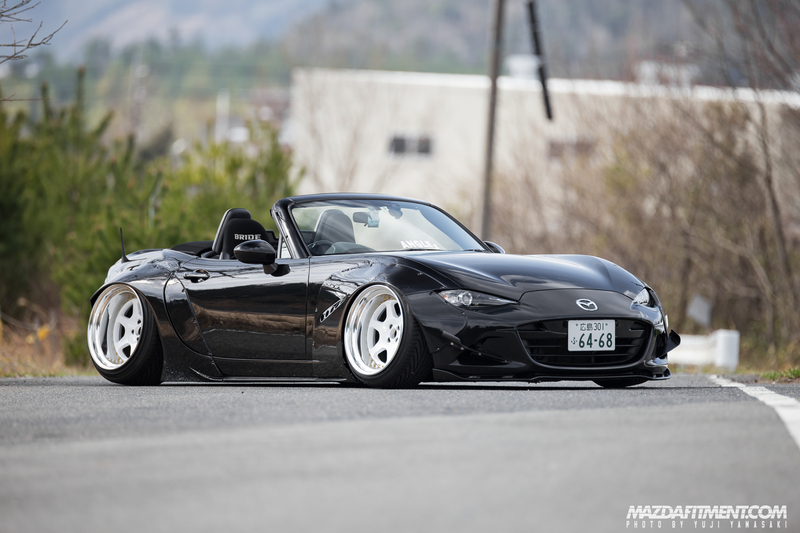 Since the release of this chassis, it has received a huge amount of aftermarket support for enthusiasts to modify their ND Miata how they want to. 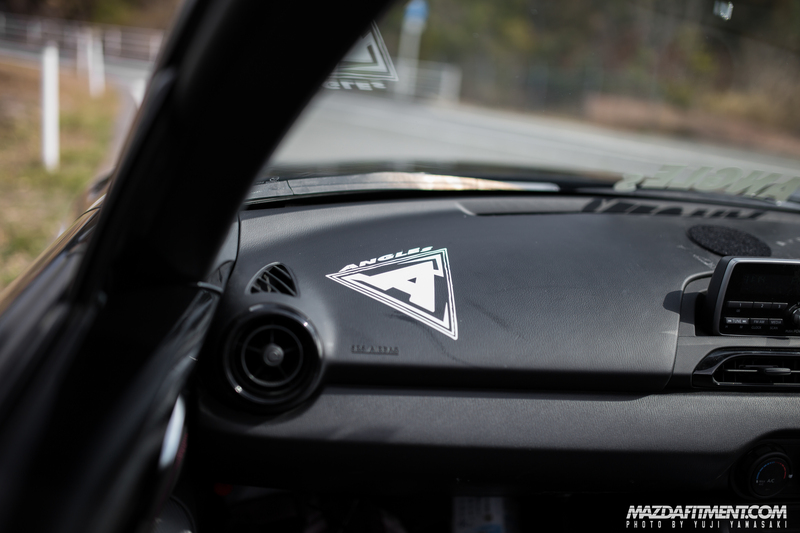 Here we have Yuta Akagi’s Black ND MX-5 Miata from Hiroshima, Japan. Yuta modified his ND5RC in an unique way for himself. 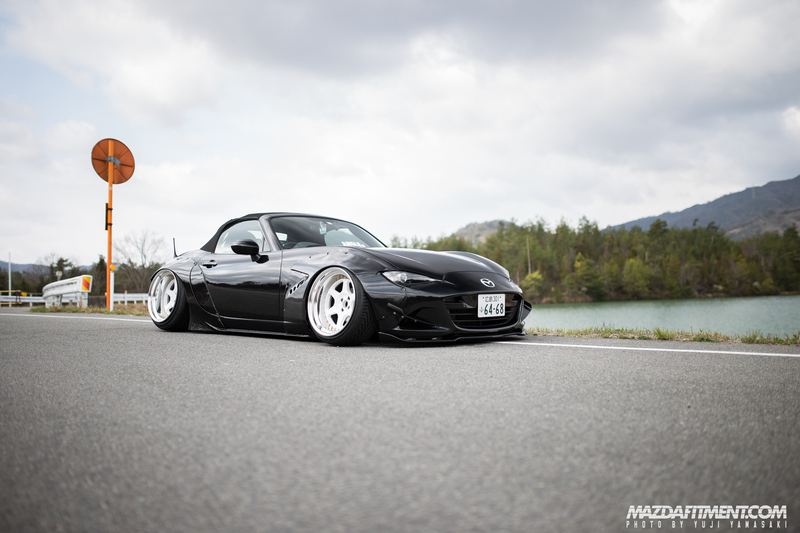 He went with Pandem Rocket Bunny over-fenders all around for a more aggressive stance to the overall car. 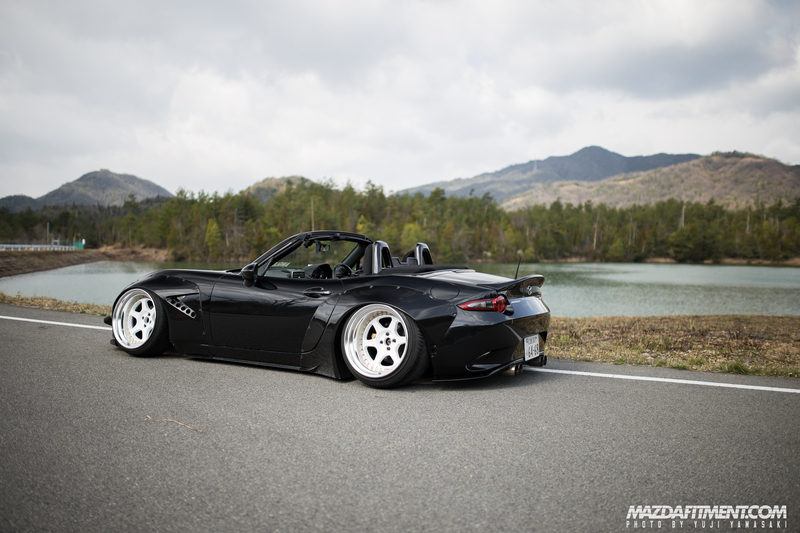 Adding a simple front and rear lip from MAZDASPEED with RK Design canards and Leg Motorsport ducktail wing. Yuta’s Pandem widebody was fitted with an aggressive set of Work Meister L1 in 18×10.5 -38 with 225/35/18 in the front and 18×12.5 -33 with 265/35/18 in the rear. The suspension is setup with Z.S.S front upper control arms with AirForce air suspension all around. 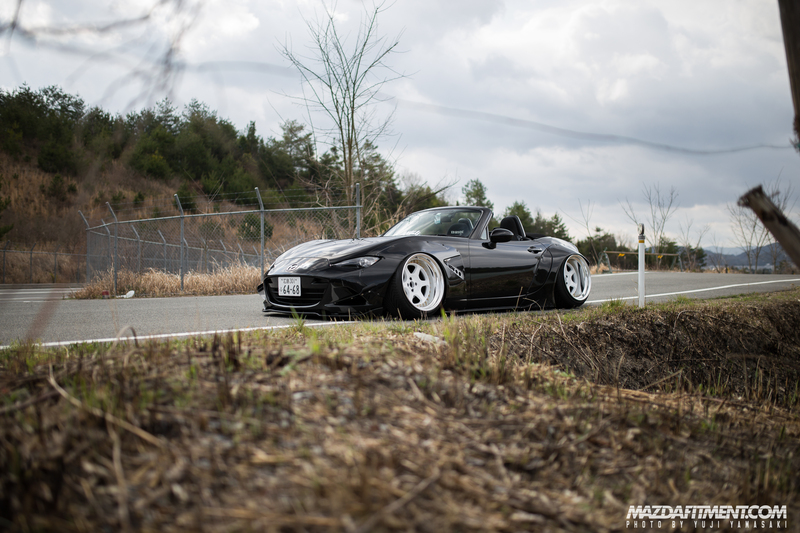 Representing ANGLEs Japan, a group of nicely modified ND roadsters. 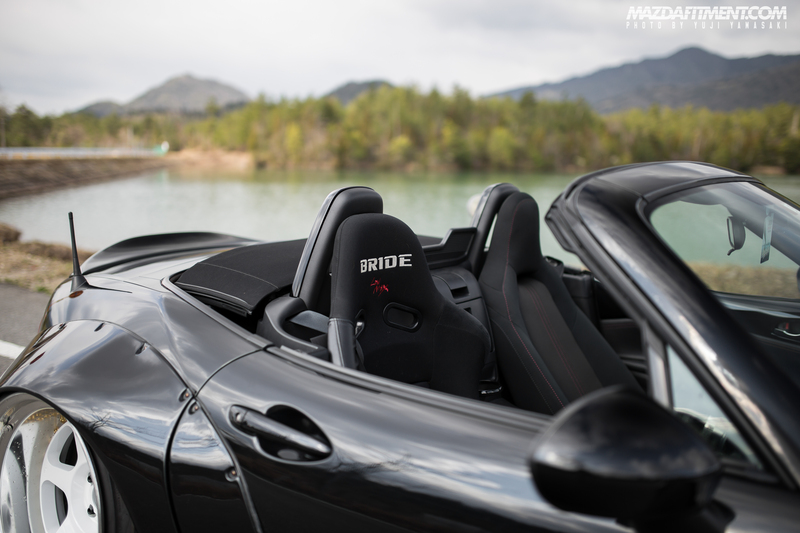 Interior of the car with a BRIDE Zeig III seat, MOMO Gotham steering wheel, and StanceNation x LikeWise shift knob. 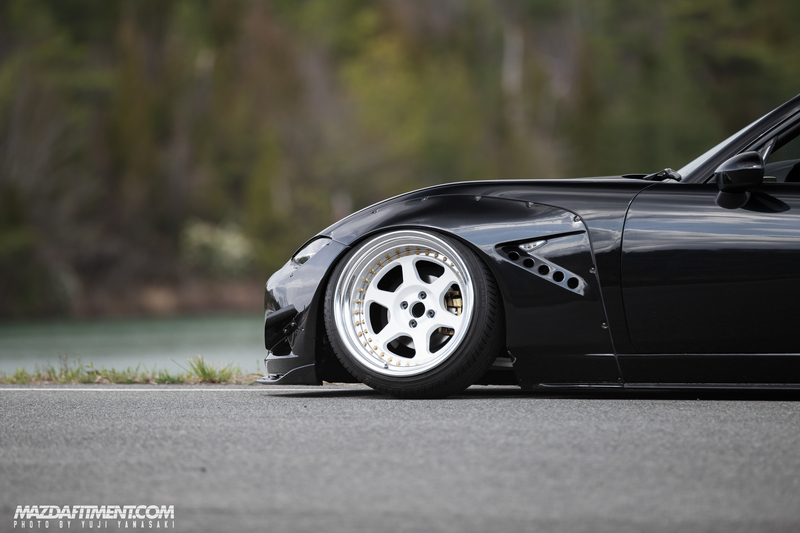 Yuta did a good job executing the pieces on the car with fitment that is on point. Thank you viewing! And special thank you to Yuta for sharing this with us and Zakin for capturing it.